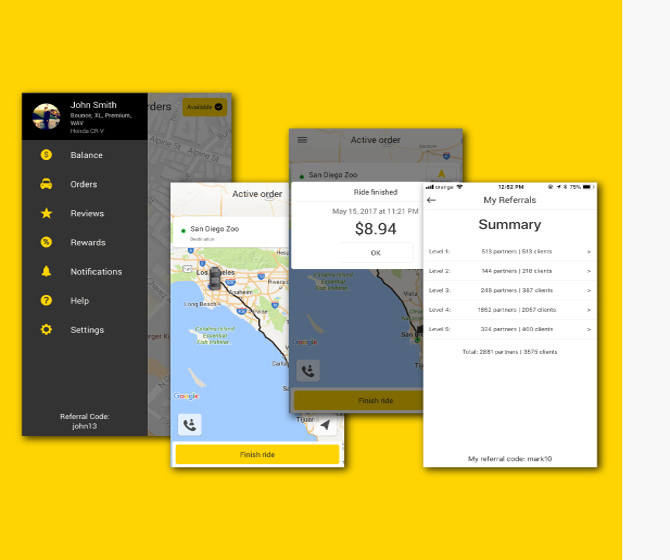 Drive with Bounce - Earn Stock Options & Get Paid Better! Why settle as a driver when you can become a Bounce OWNER DRIVER? 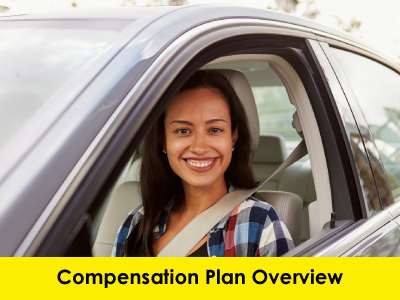 Why settle as a driver when you can become an OWNER DRIVER? when you are not driving! along with our passionate and committed drivers. We reward our Partners for their business-building efforts with generous stock options. 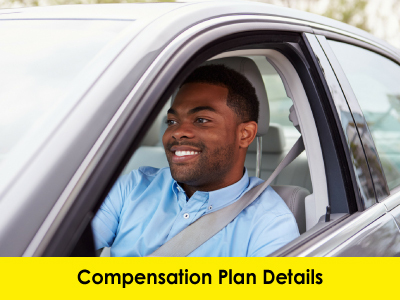 Owner drivers will benefit from the increase in the value of the business. 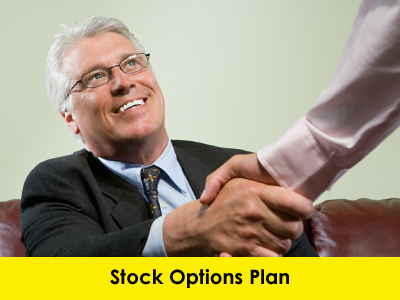 Stock options can be earned in multiple ways and are awarded monthly. Treating drivers as partners and empowering them is a core belief at Bounce. We are co-creating Bounce along with our passionate and committed drivers. We think, strategize and work together to build the company. The Bounce Driver app is a comprehensive platform. It allows you not just to track your orders and ratings but also helps you to build your book of business, view your growing network and efficiently manage your business. Bounce is not like the others! “Driving is not the only thing I do for Bounce. My talents are being recognized and utilized to help build the organization. I love Bounce, the staff and the drivers. I feel part of a company, not just a single driver out there trying to feed my kids. If you are a rideshare driver, watch the introductory video. Think of the possibilities. This is real. Know that Bounce is not like the others. You are not a number. You can succeed and fulfill your dreams." Bounce has made me friendlier, nicer, happier! “Someone had a Bounce sticker on his car and I was curious about Bounce. That’s how my association with Bounce started. I feel like Bounce has added a new dimension to my life. The difference between the other rideshare companies and Bounce is that with Bounce, I feel like I have a family while the other ones don't care about me. I feel that Bounce has made me a little friendlier, little nicer, little happier, and a little more optimistic." At Bounce, we are more like a team! "One of my favorite things about Bounce is we are more like a team as opposed to other rideshare companies where it’s the every-man-for-himself culture. Bounce is different as it is cheaper, and the drivers a paid better and we are not unethical like other platforms. Bounce also pays 100% of the fare to the driver if its someone they recruited and signed up." One of my favorite things about Bounce is we are more like a team as opposed to other rideshare companies where it’s the every-man-for-himself culture. Bounce is different as it is cheaper, and the drivers a paid better and we are not unethical like other platforms. Bounce also pays 100% of the fare to the driver if its someone they recruited and signed up. Someone had a Bounce sticker on his car and I was curious about Bounce. That’s how my association with Bounce started. I feel like Bounce has added a new dimension to my life. The difference between the other rideshare companies and Bounce is that with Bounce, I feel like I have a family while the other ones don't care about me. I feel that Bounce has made me a little friendlier, little nicer, little happier, and a little more optimistic. Driving is not the only thing I do for Bounce. My talents are being recognized and utilized to help build the organization. I love Bounce, the staff and the drivers. I feel part of a company, not just a single driver out there trying to feed my kids. If you are a rideshare driver, watch the introductory video. Think of the possibilities. This is real. Know that Bounce is not like the others. You are not a number. You can succeed and fulfill your dreams. Bounce flyers, business cards, logo and more to help you grow your business.